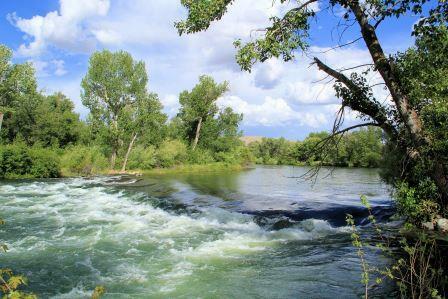 Barber Park is nestled along the Boise River 5 miles southeast of downtown Boise in the Barber Valley. 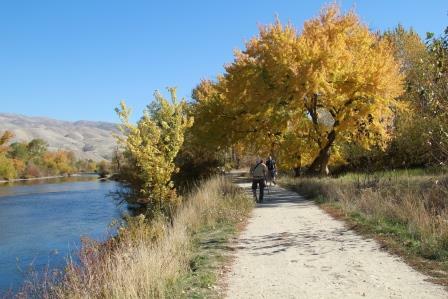 The park entrance is located at the Eckert Road bridge near Boise Avenue. 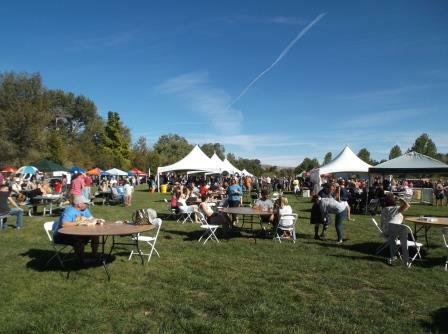 In addition to the amenities featured below, Barber Park is also the headquarters for the Ada County Parks & Waterways Department and associated staff. 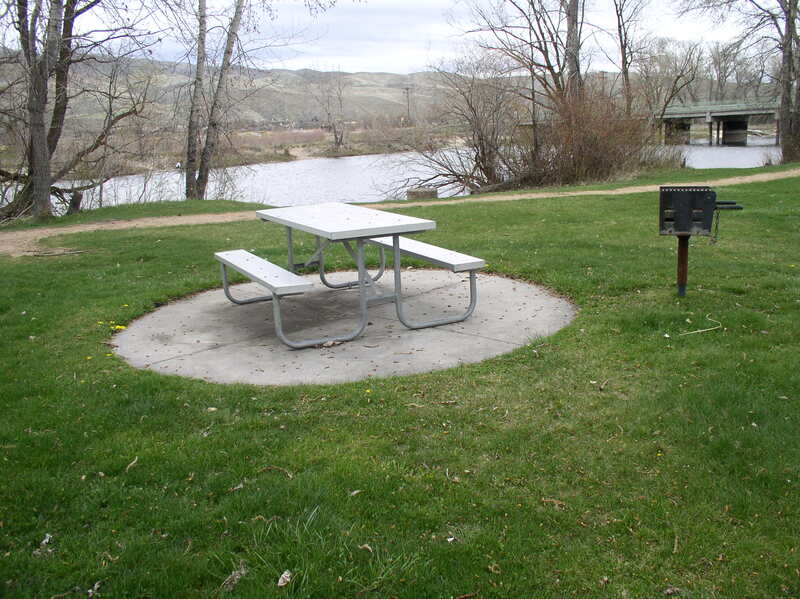 Barber Park has six pad areas located at the front of the park east of the Boise River rafting launch area. Three of these pads have the BBQ grills at them. 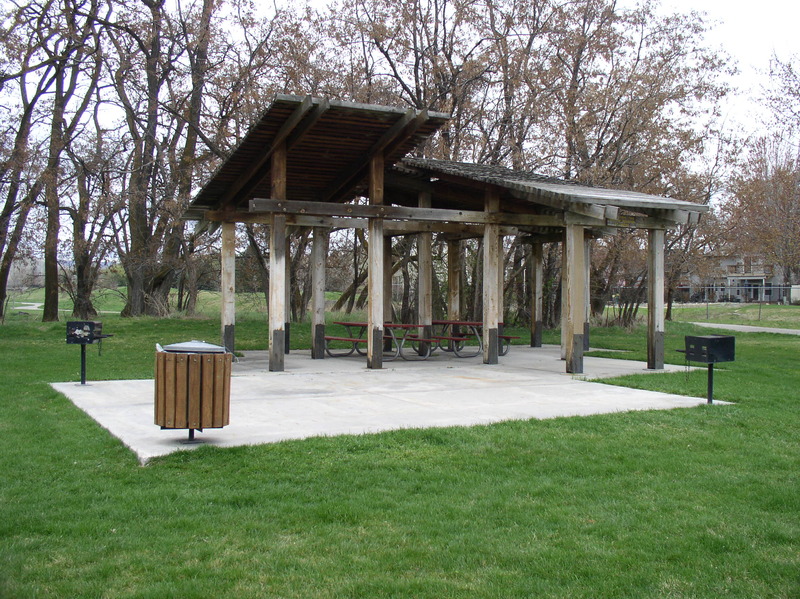 The picnic shelter is located at the west end of the park off of the parking field it has two BBQ grills. 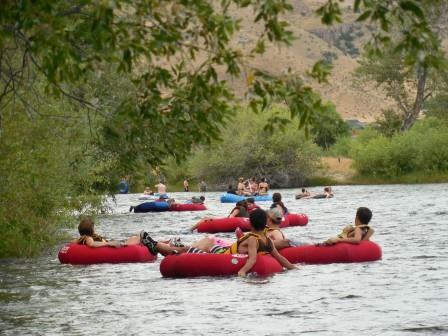 These areas are first to come use areas. 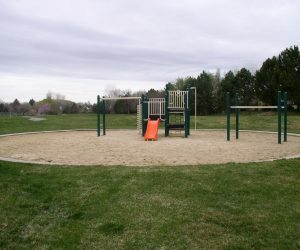 Barber Park has a basketball court and a children’s playground. 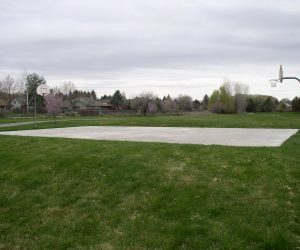 The areas are located at the west end of the park off of the parking field. 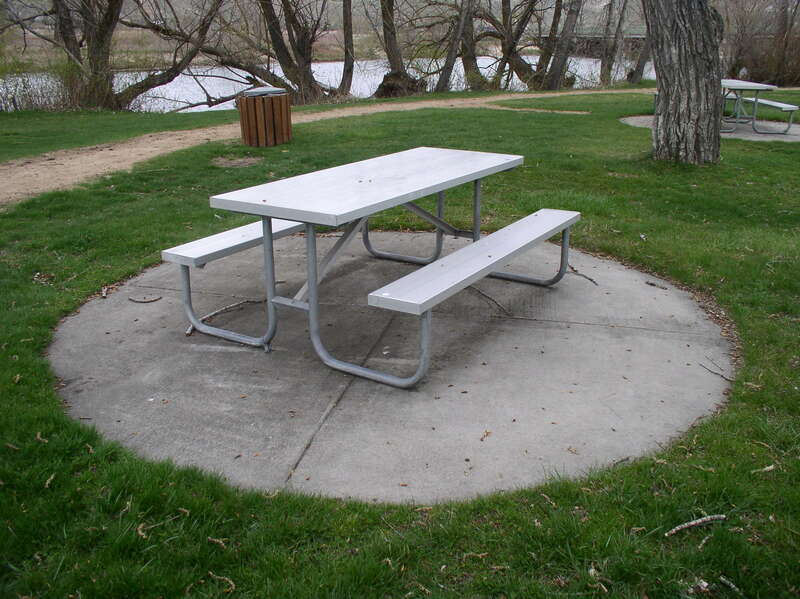 Barber Park is an excellent place for wildlife watching. 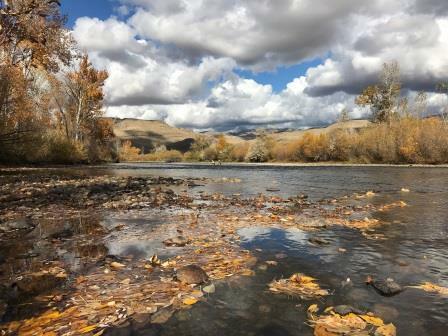 More than 121 species of birds live here, from bald eagles to Black-chinned hummingbirds. Fox, squirrels, and garter snakes are prevalent. Mule and whitetail deer, beaver, raccoon and mink are also common. Barber Parks large cottonwood forest provides important habitat for tree-nesting birds (wood ducks, owls, flickers, etc…) and even an occasional elk. Stay on the trails as you explore and keep your dog(s) contained. 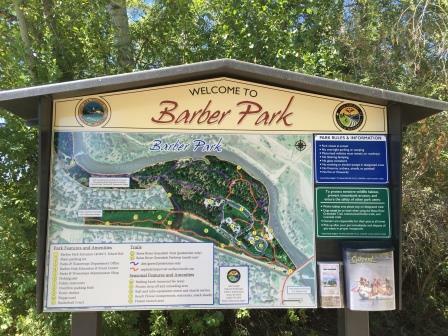 Enjoy the beauty of Barber Park! 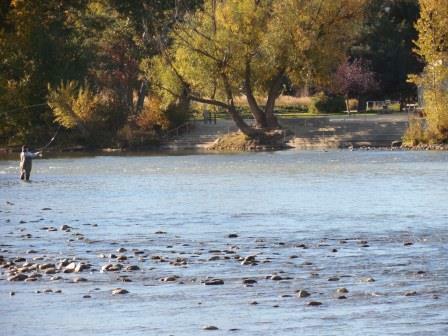 The Idaho Department of Fish & Game stocks fish in the Boise River. 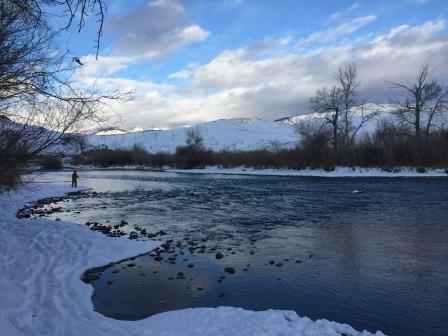 For the stocking schedule, see Idaho Fish & Game Stocking Information. 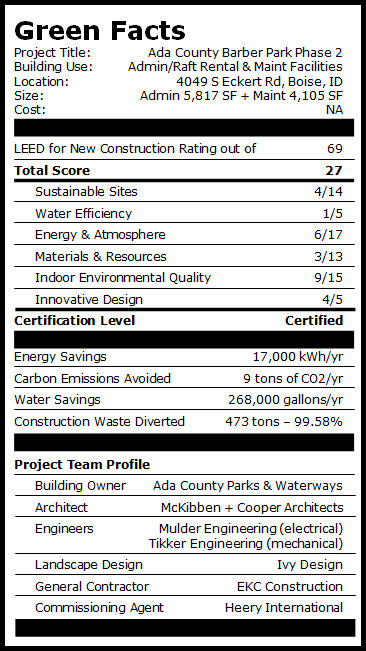 The Leadership in Energy and Environmental Design (LEED®) Green Building Rating System™ is a nationally accepted benchmark for the design, construction, and operation of high-performance green buildings. 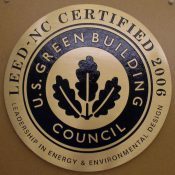 LEED® promotes a whole-building approach to sustainability by recognizing performance in five key areas of human and environmental health: Sustainable site development, water savings, energy efficiency, materials selection, and indoor environmental quality. To earn certifications, a building project must meet certain prerequisites and performance benchmarks (“credits”) within each category. Projects are awarded Certified, Silver, Gold, or Platinum certifications depending on the number of credits they achieve. 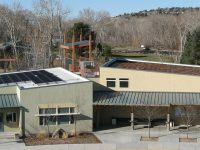 This comprehensive approach is the reason LEED-certified buildings have reduced operating costs, healthier and more productive occupants, and conserve our natural resources. 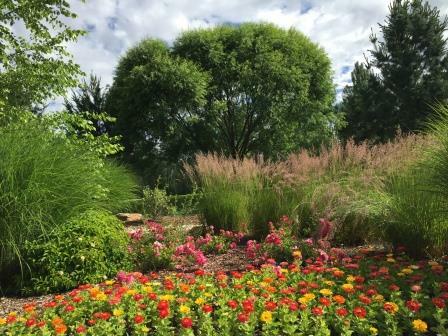 The five types of plants that were used for the Barber Park project. 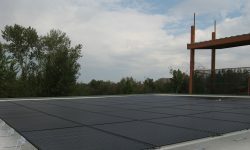 View information on the solar panels located on the administration building located in Barber Park by logging into the portal https://www.sunnyportal.com/Login.